Meanwhile, continuing students are submitting their applications for scholarship renewal. They also have many last-minute questions. The forms are due this afternoon, so I know the office will be hoppin’ at about 4:00. Which leaves me depending on others to create interesting blog content for me. And combing through my inbox, I found something. 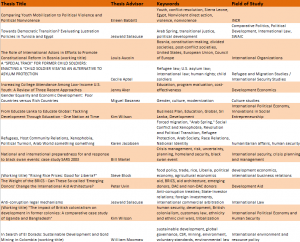 Students have compiled a list of thesis topics, along with faculty advisor, keywords, and the students’ Fields of Study. 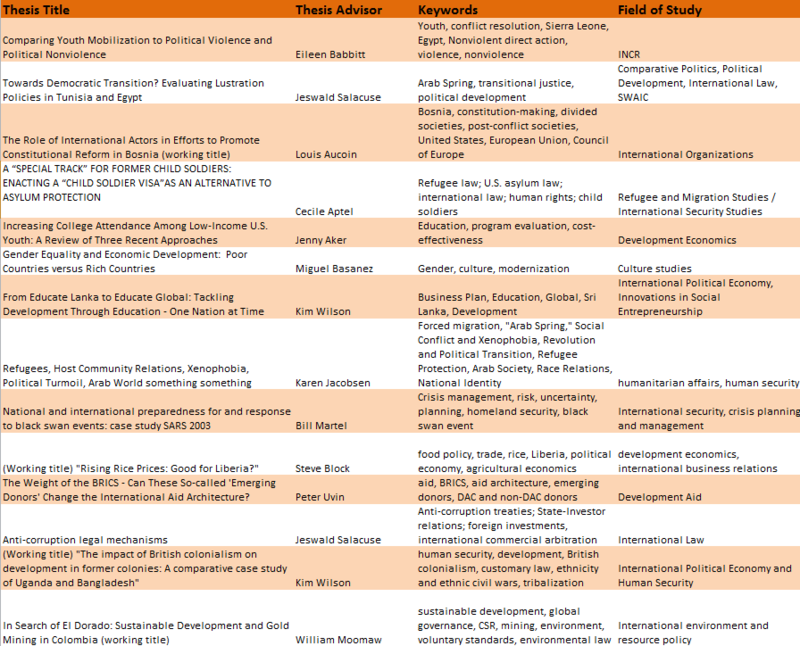 The list contains only a portion of the theses that will be submitted this spring, but I think it provides a nice snapshot of the broad range of topics and formats. If you’re interested in learning more about the professors who advised a student on a specific topic, you can find them all on our website.